A one-off from neuroangio.org Young patient presenting with left arm weakness and numbness, and intermittent dizziness, all for 1 week. Never trust volume rendered CTA images to tell you if something is occluded or not. At least not in 2018. U need something less pretty, but more useful. 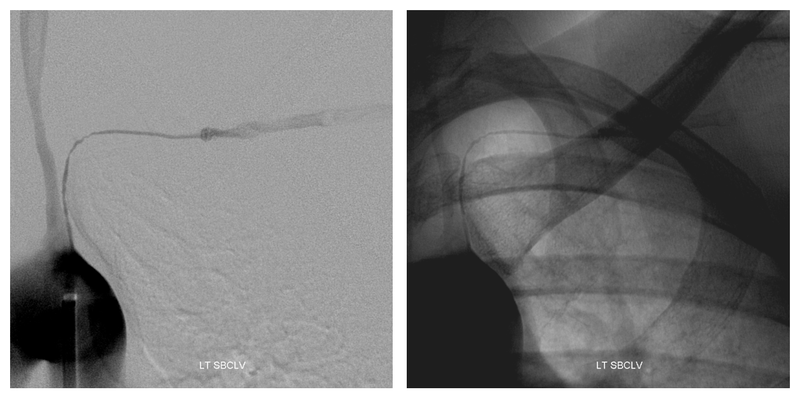 The MIP images below suggest that left subclavian might still be open. Now we’re talking. We can work with that. Suspected patency of the subclavian is confirmed. 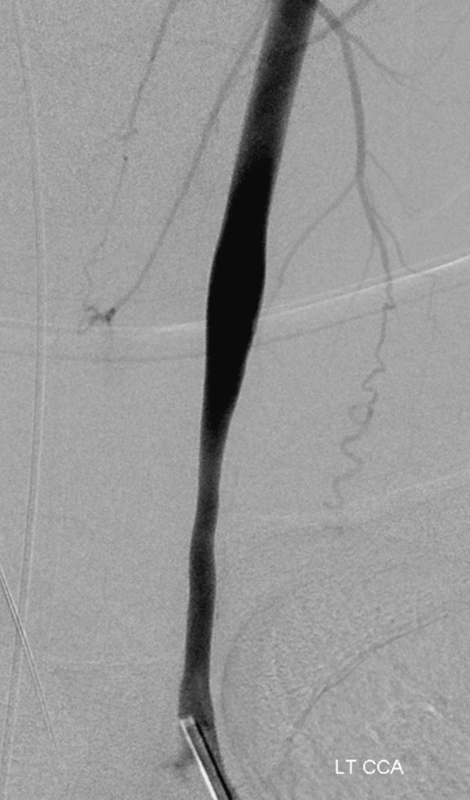 Notice washin of unopacified contrast in the more normal caliber distal subclavian artery from other sources. 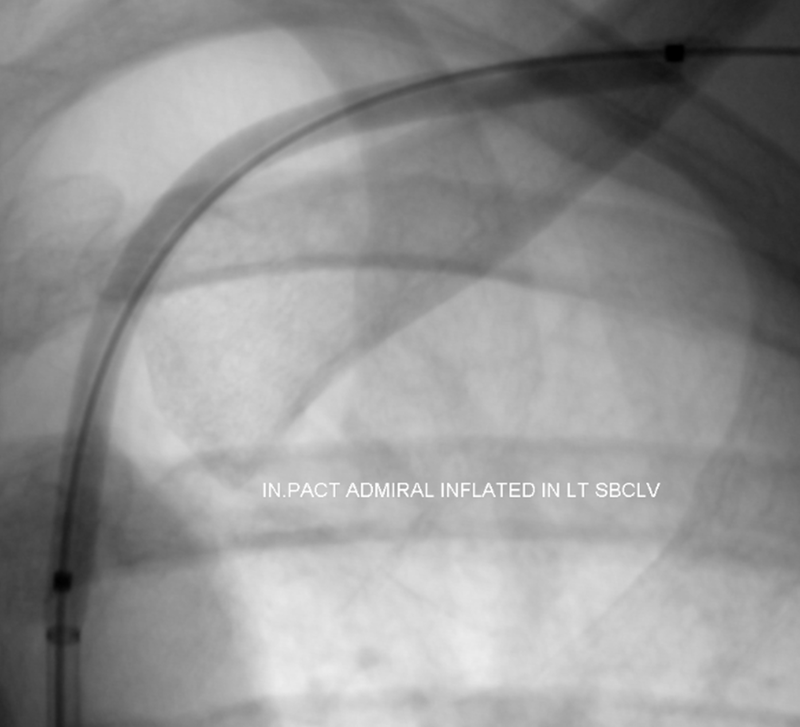 Paclitaxel drug-eluting balloon now inflated in the pre-dilated subclavian. 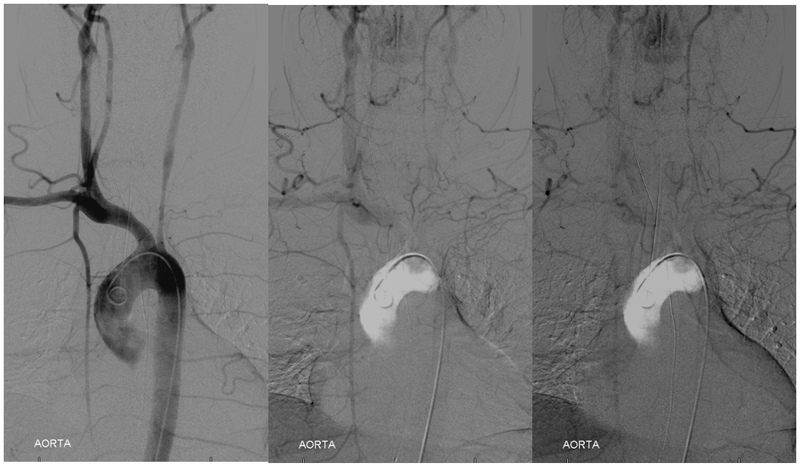 Use of drug-eluting balloons and stents in Takayasu is described in several case reports and seems like a very good idea. 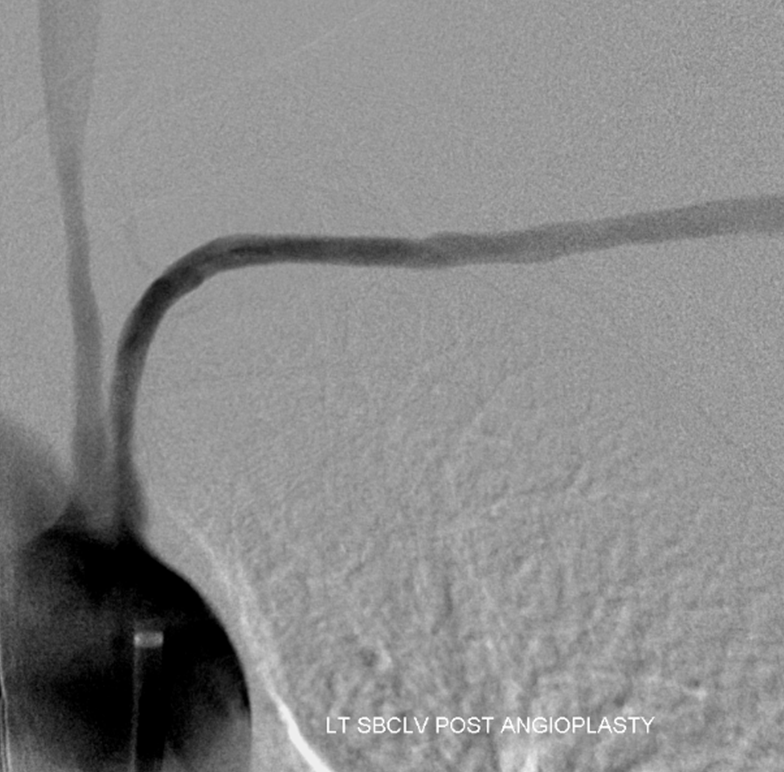 We decided not to stent so as to maximize patency of side branches/collaterals, particularly the left vert. Angioplasty will not succeed without medical treatment. Newly diagnosed. Symptoms resolved for now.